Reviewing a Super Mario Bros. game is like reviewing a chunk of video game history, for more reasons than I’d actually like. 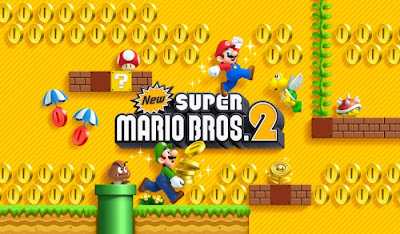 New Super Mario Bros. 2 once again gives players a fantastic opportunity to explore the beautiful Mushroom Kingdom as one of video gaming’s most iconic and loved characters. However, a lack of imagination in level design, constant repetition and blatant reliance on our unmoving love for Mario no matter how many times we play the same style of game, makes New Super Mario Bros. 2 nothing more than a competent blast from the past that once again fails to deliver anything new to the series. There is fun to be had because the formula was perfected eons ago, but it’s about time Mario embarked on a new adventure. My quarrel with NSMB2 should not make you assume that it’s a bad game; on the contrary it is technically very impressive. It’s just when Princess Peach gets captured by Bowser and you run off as Mario stomping on everything that moves and collecting a whole bunch of coins, power-ups and stars, you immediately think, “I’ve been here before, plenty of times.” It was very difficult to feel excited when I was playing NSMB2 because I have already completed this game hundreds of times before. While excitement levels were relatively low, nostalgia levels did inevitably boom. Beautiful levels brimming to life with colour and expertly crafted platform design keeps you on your toes as you go from clouds to caves and underwater to do battle and collect coins. Many of Mario’s power-ups return to including the Fire Flower and Tanooki Tail. All of this however just feels well, boring. It’s nothing you haven’t experienced or used before and no matter how many times the development team redesign the levels and platforms, an experienced Mario player will be able to maneuver around each stage gracefully with minimal problems. Fortunately the Super Mario Bros. formula is just so excellent that even while these thoughts are spinning around in your head, you can’t help but feel that NSMB2 is technically a very impressive game. Tight and technical development makes each level challenging and enjoyable, no matter how many hits of déjà vu you get. The addition of the golden coin power up also adds the ability to transform every block and enemy into showers of coins, making for a visually impressive scamper to pick up as many as possible. This alongside some stunningly frustrating secrets and hidden goodies makes NSMB2 a perfectionists delight. There’s definitely a lot to do here and just like any other Nintendo title, it’s well crafted that people can get as much enjoyment as they feel appropriate for their skill and commitment level. Some of you may just play through the story and call it a day, while others won’t stop until you’ve amassed one million coins and found every single treasure across the whole game – the choice is yours. NSMB2 also offers a cooperative mode, which unfortunately fails to live up to the technical prowess you’d expect from a Mario game. Resembling New Super Bros. Wii, this coop play lacks the handy screen-resizing mechanic and as a result, makes this mode nothing more than a struggle to try and stay close to each other and avoid inevitable doom off screen. If a friend has NSMB2 you’re probably better off both playing single player and just chatting in the same room! 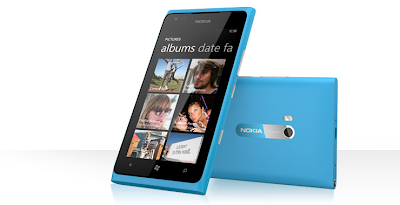 The notion of collecting as many coins as humanly possible is emphasized further by the Coin Rush mode. This challenge mode makes players complete three levels against the clock all the while trying to collect as many coins as possible without dying. There’s plenty of opportunity to amass some pretty impressive scores but for some strange reason, there are no leaderboards, only the ability to share through SpotPass. Ultimately it’s a testament to Nintendo that so little positive can be said about New Super Mario Bros. 2 and it still actually ends up being a good game. I have felt that Nintendo have been getting away with rehashing their titles for too long now and expecting gamers to like them just because they are reminiscent of prior glory. That’s simply not the case and if Nintendo want their fans to purchase their products and take the Wii U seriously, then they have to evolve with the times. Sure classic Mario should never die, that’s what the Nintendo Store is there for, so people can purchase and enjoy classics, but now is the time to move on and New Super Mario Bros. 2 is an excellent example of how not to do that. 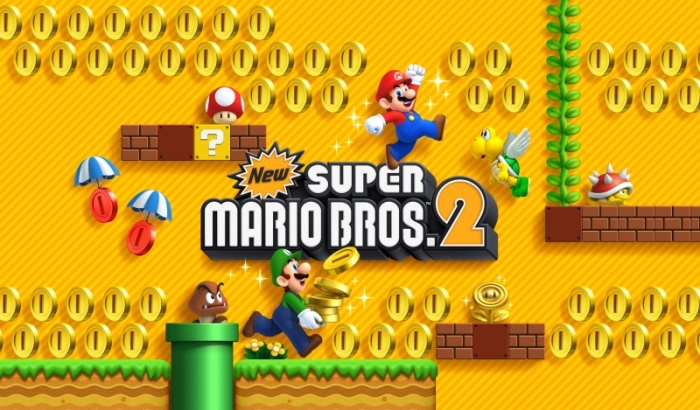 Dull level design, uninspiring additions and the same old formula make New Super Mario Bros. 2 nothing more than another blast from the past, albeit as much as I hate to say it, an enjoyable one. As you’d expect with any Mario game the controls are tight and gameplay is precise, but that’s on the surface. If you look deeper the same monotonous and repetitive system is implemented here once again by Nintendo who I feel are showing a real lack of respect to their gaming audience by subjecting players to an almost identical Mario game and forcing them to pay out for another fully priced title. The same Nintendo spark is missing from New Super Mario Bros. 2 and this is obvious with the boring level design and lack of anything new to help this age-old formula evolve. Again you can’t deny New Super Mario Bros. 2 is a beautiful looking game. Bright and vibrant colours help the levels and enemies stand out and really show off the Nintendo 3DS’s capabilities, especially the XL model if you have one. The extra gold coin game modes also look stunning as you watch the entire screen explode in a shower of gold. Unfortunately the 3D actually hinders the game and is quite hard on the eyes. So this one is definitely best left in 2D to preserve the speed of the game and avoid blurring backgrounds. Nintendo are masters at layering their games in such a way that everyone can get as much or as little out of it as they feel right for them. There’s a load of secret stuff to find and uncover so New Super Mario Bros. 2 is a perfectionists dream. You will spend a long time collecting all the stars, coins and goodies throughout the 80 levels available. That’s if you aren’t bored of the Mario formula already. Cooperative mode is available but isn’t that good unfortunately and Coin Rush is a fun way to run through three levels at a time, but you should really invest yourself in the campaign element here. In hindsight perhaps this review was intertwined with my inner rage concerning Nintendo and how they treat their fans. I look back and this really has been a bombardment on New Super Mario Bros. 2 so it’s stunning that at the end of it all it’s come out with an 8.0. This is absolutely a testament to how fantastic the Mario Bros. formula is but Nintendo cannot rest on their laurels and assume year-in year-out we will play the same game again and again just because they repackage it and add a new tiny little element. The video game industry is changing and while the heritage should never be forgotten, blatant lazy rehashes should not be allowed, as it’s simply an insult to gamers. So if you’re looking to enjoy another Mario game then New Super Mario Bros. 2 has all the components to make sure you will have an awesome time. Those of you looking for something new, you will definitely not find that here because this truly is the same age-old Mario game, again. There are very few video game franchises that even come close to mimicking the same level of magic and awe that Kingdom Hearts exudes. 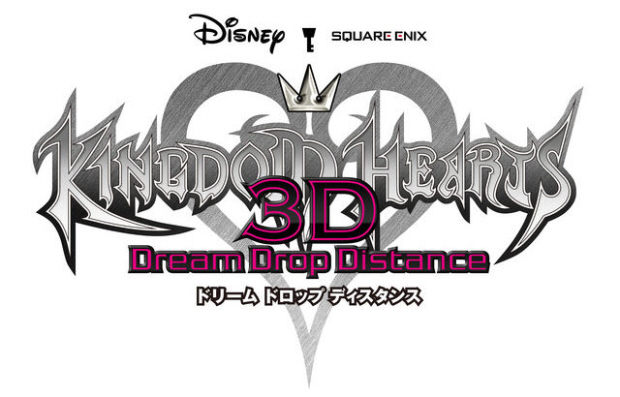 Marking this wonderful action role-play games’ 10th anniversary, Kingdom Hearts 3D: Dream Drop Distance arrives on Nintendo’s handheld as a direct precursor to the eagerly awaited and highly anticipated Kingdom Hearts III. While there are still apparent issues that continue to frustrate the series as a whole, there’s enough fast-paced combat, incredible visuals and a host of spectacular worlds to visit and characters to meet. As a result almost all of Kingdom Heart 3D’s problems are easily overlooked as you fall helplessly into another gorgeous adventure with Sora and his friends. Kingdom Hearts 3D’s first problem comes in the form of accessibility. With more than 6 interlinking games already out, only die-hard fans of the series will be able to really understand Kingdom Heart’s complex storyline. That’s not to say Kingdom Hearts 3D doesn’t try to recap but this is obviously more for fans who need a quick reminder of previous events as opposed to newcomers looking for a quick update of events prior. These recaps come in the form of memory videos and frustratingly long note entries – the former are visually impressive and do help bring you back into the world of Kingdom Hearts. If you thought previous instalments in the series were complicated, prepare for another dose of head scratching. Kingdom Hearts 3D tells the story of Sora and Riku preparing to take the Mark of Mastery exam, giving them unparallel knowledge and skill of the keyblade. Kingdom Hearts 3D has you playing as both Sora and Riku using a convoluted and frustrating mechanic called ‘drop’. Both characters traverse separate realities and game forces you in between their two quests. This becomes increasingly frustrating when you’re in the middle of something important and suddenly get retracted from that quest to continue with a completely different pace. Matters get worse when you eventually come back to the prior quest and you’ve forgotten what it is you’re supposed to be doing! Thankfully the game allows you to manually drop in and out of characters, giving you some element of control between them. So it’s apparent that Kingdom Hearts 3D’s story isn’t told or indeed played out in the most effective of manners. This really has been the series’ undoing for a long time now, but what it always makes up with is lovable characters and narrative. It’s very easy to omit the aforementioned problems when you begin exploring some of Disney’s glorious worlds. Famous faces such as Sam from the modern TRON, Neku Sakuraba from The World Ends With You and a whole host of characters including the return of Mickey, Donald and Goofy all help make this another beautiful adventure to partake in. A great set of voice actors also help bring these iconic figures to life. Things get even better when you get stuck into the action of Kingdom Hearts 3D. The classic action adventure formula is revisited here as you tackle worlds filled with the varied and highly decorative dream eaters. No longer is your main enemy the darkness, rather these fuzzy and deceiving monsters will take up most of your keyblade swinging skills. The dream eaters come in all shapes and sizes, each with their own sets of abilities and moves on the battlefield. This really helps make Kingdom Hearts 3D quite a varied experience, even if it’s possible to mash some of your better moves without any consideration for versatility of your own. You have a set amount of slots in the command deck that you can fill with spells and skills, creating an element of strategy and personal play style. However, the new flowmotion mechanic introduced for the first time in Kingdom Hearts 3D really makes combat that little bit easier. Flowmotion can be used to enhance your characters speed by letting them grab onto and bounce of walls and this can also be used in conjunction with devastating combo attacks that can take down groups of enemies in one swoop. These flowmotion moves have no recharge time like skills in the command deck and as a result you will find even the deadliest of enemies can potentially crumble at your power to spam flowmotion. The battlefield can become quite a lonely place and fortunately for you not all dream eaters are evil. Indeed you can create and forge your own dream eaters to help you on the battlefield. Uncovering and finding formulas and items can accomplish this during your adventures, which in turn reward you with more powerful monsters. Sora has the ability to link up with his dream eaters to perform tag-team like moves while Riku absorbs his creature to gain a particular burst of power or a special ability. This really helps enhance the combat system and keep things feeling fresh each time you uncover new dream eaters to partner you in battle. What is frustrating however is these companions require more than use in battle to level up and grow stronger. A Nintendogs-style game screen is available that allows you to interact one-on-one with your creatures, resulting in new abilities, stats and increasing the bond between you too. 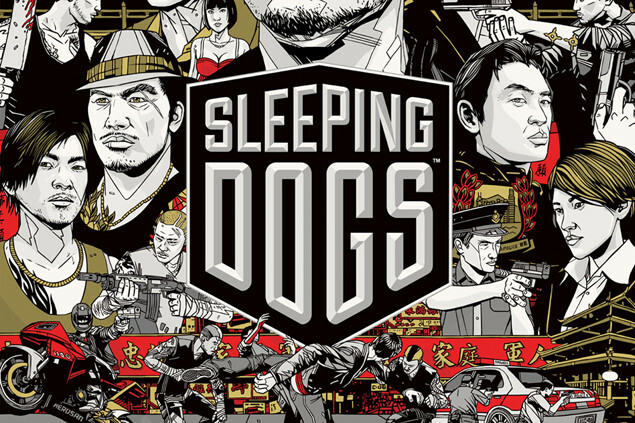 This becomes tedius very quickly and those of you not interested in this style of gameplay will no doubt see this as nothing more than a chore. While visually Kingdom Hearts 3D has absolutely no problems, from a technical perspective the controls can be quite frustrating. It does support the circle-pad pro, which makes moving the camera a whole load easier but those of you playing on a brand spanking new 3DS XL (which are awesome by the way) or don’t have access to the pad pro will find it does take some time getting used to the controls. What is particularly frustrating is the D-Pad manages and changes what you want selected in your command deck so sometimes you’ll find yourself dodging and weaving using the circle pad while trying to reach your hand over onto the D-Pad in an attempt to switch to a potion or healing spell. Moments like this convolute the whole experience unfortunately. Kingdom Hearts 3D leaves little room for exploration, which is understandable for a handheld game. Despite this omission, it is still a very big game. Large worlds are separated by quirky mini-games as well, including dropping into them through an on-rails like shooting game. Extra quirky content like light-cycle battling in the Grid also help spread out the gameplay. 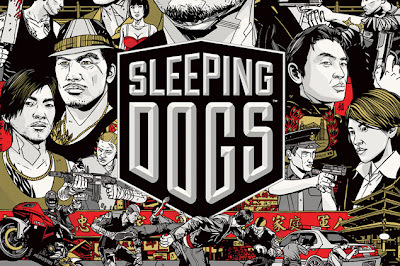 A lot of thought and effort was put into this games’ pacing and it is very much apparent. 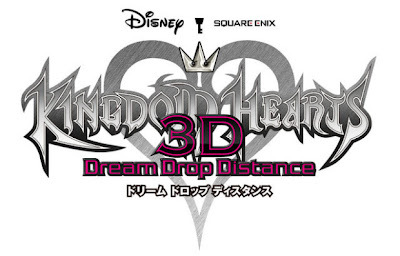 Ultimately it’s very difficult not to really enjoy Kingdom Hearts 3D: Dream Drop Distance if you’re a fan of the series. There are some noticeable problems, but the magical aura surrounding the game really makes it very easy to look past such issues. A wonderful design and exciting gameplay makes this a worthy addition to the Kingdom Hearts series as we now sit and eagerly wait Kingdom Hearts III. A few controller issues aside, the combat is versatile, varied, fast paced and a whole load of fun. With plenty of skills and spells to use alongside the new flowmotion mechanic, you’ll find it very difficult not to enjoy every second of Kingdom Hearts 3D. The creation of your own dream eaters and mini games spread out between each world are also welcome additions that help spread the game out somewhat. Every single Kingdom Hearts game is full of wonder and dazzle. Kingdom Hearts 3D is absolutely no exception. While the story is once again quite complex and really designed only for fans of the series, those who have been faithful are rewarded with another glorious insight into a majestic world. Never before visited Disney locations have been added alongside more lovable characters, making even the thought of visiting a new world incredibly exciting. Unlocking all the skills, abilities and creating the dream eaters is really the brunt of the content alongside a few little additions here and there, but Kingdom Hearts 3D is a long enough game as it is, so it’s not a massive problem if there isn’t lots of significant end game content. If you haven’t gathered by now, I love Kingdom Hearts. As a result I’m the first to complain if there’s any sort of problems or issues. Fortunately apart from the complex story and occasional control hitches, this really is a wonderful Kingdom Hearts experience that does the series justice. Some nifty new additions including flowmotion help make this feel like more than just a revamp; indeed this is a glorious action adventure game and worthy to be released on Kingdom Hearts’ 10 year anniversary. It’s always a welcome sight in my eyes to see more adult-themed games appear on Nintendo’s home consoles. While perceived as a company catering to the younger generation, many people forget that on the GameCube for example, Nintendo had exclusive rights to Capcom’s Resident Evil series, so they are by no means strangers to the survival horror franchise. With this in mind a wonderful remake of Fatal Frame II: Crimson Butterfly arrives on the Wii to scare the living daylights out of you. This horrifying adventure plays out through an intricately woven story that’s certain to have you cowering in fear as you do everything in your power to solve the mysteries around you and come out alive. Project Zero 2 is in every since of the words, survival horror. The story while not revolutionary sets up two twin sisters in an abandoned and mysterious village full of awful and dark secrets. This tale encompasses the notion of one sister trying desperately to find her younger sibling and fortify their connection amidst the terror that surrounds them. Many fans of survival horror will get a wonderful nostalgic buzz as soon as they begin playing Project Zero 2. The over-the-shoulder camera angle used is a lot more suspenseful than the immovable camera angles we have come to know from Silent Hill and Resident Evil, resulting in a narrower field of vision and more scares around every corner. When you do get attacked by many of the village’s ghosts, you have to be prepared to use an intuitive and engaging game mechanic to deal with your foes. Indeed Project Zero 2’s interesting way to vanquish enemies is the Camera Obscura. This nifty device encourages you to bring ghosts as close as possible to your camera lens and then destroying them with a bombardment of snap-shots. When you bring the camera up the game moves you into a first-person perspective, limiting your sight further. However, with a steady hand and quick fingers you can take down your assailants or even groups of, with a well timed photograph. Project Zero 2 adds some interesting role-play elements into the game by allowing you to upgrade your camera with various different abilities throughout your adventure. These helpful additions will be crucial as you find special film to deal with particular foes, paralyzing shots and other extras that will help deal with the variety of ghosts on show. You will find that this is definitely easier said than done. Not due to the games’ difficulty curve, in fact on default setting this is quite a generous survival horror experience. It’s the sheer terror that these ghosts bring that could have you stumbling for that camera. The use of Wii controls is artfully crafted in such a way as to make the entire endeavor quite difficult. Instead of being frustrating however, this whole notion feels appropriate and mimics the supposed fumbling that would occur if you were in that type of situation. A wide variety of ghouls inhabit this village, each more horrifying than the last. Their pasts can be found in spirit stones or through many collectibles scattered across the village. How far you choose to dwell in their stories is up to you, but the longer you wait around the more suspenseful this whole experience becomes. Although the default difficulty setting is forgiving, there is still challenge to be found here. Once you feel like you’re getting to grips with the controls Project Zero 2 opts to take away your only source of light all the while throwing tougher, faster and more cunning ghouls at you. The true survival horror experience is definitely on the harder difficulty setting, but I would recommend playing through on default first to really grow accustomed to the whole game. With that in mind there’s definitely considerable replay value to be found in Project Zero 2. A bunch of side quests, optional areas to explore and the Wii exclusive Haunted House mode all pull you back into this uneasy world. The Haunted House game mode isn’t particularly impressive and plays more along cheap scares as opposed to the wonderfully woven atmospheric horror of the campaign, making it feel shallow in comparison. Essentially the game either asks you to take photos or withstand the horror in particular locations you unlock throughout the story mode. That aside, playing through the campaign again is almost necessary to really get the most of this excellent remake. Every once in a while a game comes out that really wows me. People argue whether remakes are cheap cash ins but this is an excellent example of a game that has been long-forgotten and brought back into the light for new gamers to enjoy. Clever use of Wii functionality including the speaker in the Wii-mote, interesting game mechanics, terrific pacing and a horrifying story makes Project Zero 2: Wii Edition a much needed game for Nintendo Wii owners. Project Zero 2: Wii Edition shows exactly how basic gameplay mechanics can be so wonderfully implemented when surrounded by the correct atmosphere. Very basic combat mechanics (taking a photo) are made highly intricate by the brooding horror around you and the on-purpose clunkiness of the controls. Your character is weak, scared and alone and this couldn’t be made anymore obvious by how the game plays. True horror is comprised with helplessness and that is here in abundance. A horrifying story intertwines this wonderful experience from beginning to end. Environments are stunning and so scary while the ghosts all feel like they are individuals and have their own personalities and stories. Every single element of this game is terrifying and at the same time, beautiful to look at. The relationship between the two twins is particularly ominous and you really begin to feel that something’s not right, yet you have no choice but to keep moving forward into the darkness with nothing but a light and camera. There are extras to unlock, optional quests to partake in and a lackluster Wii exclusive game mode to try out, but the bulk of the content is completed on your first play through. So if you take on Project Zero 2: Wii Edition on a harder difficulty setting straight off the bat, then you’re doing yourself a favour and enjoying this game exactly how it was meant to be played while getting the most out of it in one play through. Project Zero 2: Wii Edition is a wonderful remake of a very scary game. Survival horror is a dwindling genre and it’s a delight to see these classic games make another appearance and leave such a positive mark on the industry. Atmosphere is rarely portrayed so effectively in a game so fans of horror need to give this a go because it’s games like this that really bring back memories of your time with classic titles like Silent Hill and Resident Evil.